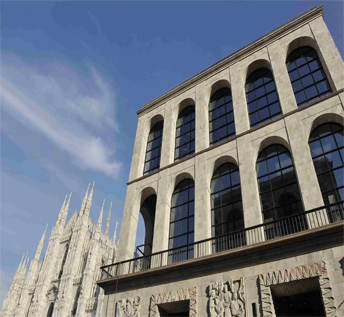 Our small Maison is in Milan, in a 1950s building on the corner of Piazza Diaz, in the historical city centre, right next to the Duomo, the 900 Museum and the Royal Palace. After many years in Tuscany and Prague we were looking for a new project and this is how Bed&Cafè, and now BC Maison came about. 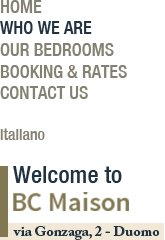 BC Maison is a house with small suites where you will find a warm hospitality and a relaxed atmosphere. Within each suite you will be welcomed with facilities for tea & coffee and for breakfast you will find our baskets with selected products, all Italian! We are at your disposal for any further information and suggestion you might need.